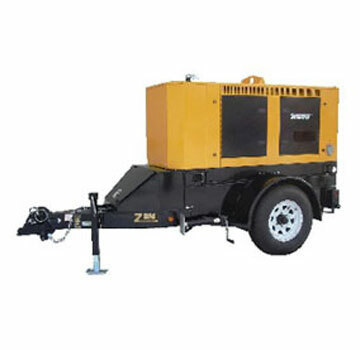 APPLICATIONS: Mobile 20KW / 25 KVA power generator is trailer mounted with an ultra efficient and reliable Isuzu diesel engine. Ouputs up to 70 amps.The RP25 is not your average 25KVA mobile unit. It comes standard with all the normal goodies (Izuzu 2.2L engine, Stamford generator, Deep Sea controller, Cam-Locks, etc.) but our RP25 has two unique features. The first is that the voltage selector is 4-position, meaning it can produce the four most common voltages used in the US. Also, we oversized the generator end so our output on single phase is higher than other comparable models. Designed for daily use by all trades. Efficient diesel engine and 45 gallon tank runs 25 hours at full power output and 50 hours in half-power mode. 20 KW output power rating ! TWO year Winco warranty on generator. One year Isuzu motor warranty.